Inhalant abuse can be one of the most obvious types of abuse. Inhalant abusers may have paint on their faces, may smell of solvents, may leave behind bags impregnated with gases, solvents or paint, and may deposit piles of rags saturated with paint thinner, degreaser or gasoline. 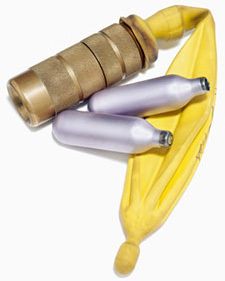 When a person is a confirmed, chronic user, they may leave behind piles of empty compressed air cans or nitrous oxide canisters. Evidence of inhalant abuse may be very hard to hide for the frequent abuser. If a young person is just experimenting with inhalants, detection could be much harder. A person high on inhalants is likely to suffer exhaustion and an inability to focus. Less obvious signs of inhalant abuse include damage to blood, kidneys, liver, heart and bone marrow. One’s judgement is impaired and inhibitions are lowered after heavy use. 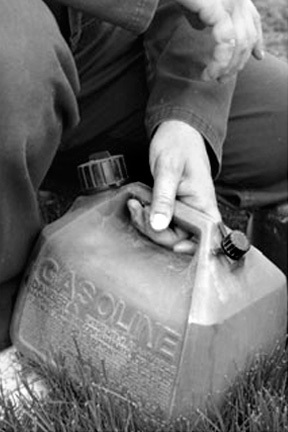 This may lead a person to engage in irresponsible or dangerous activity. When a person abuses nitrites, such as inhaling the gases in whipped cream containers, the signs can include severe headaches, blindness or glaucoma. Inhalant addicts may find the help they need at Narconon drug and alcohol rehabilitation centres around the world. This is a residential programme which enables people to focus on repairing the damage they have suffered. A detoxification regimen followed by counselling and life skills training seek to enable a person to see things in a whole new light so they can live an enjoyable, productive life again. This is the way the Narconon drug and alcohol rehabilitation programme works. Find out how this programme can help you or someone you care about get back on a sober path in life.